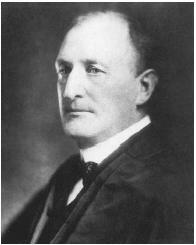 James Clark McReynolds served as an associate justice of the U.S. Supreme Court from 1914 to 1941. McReynolds was a very conservative justice who gained prominence for his opposition to the New Deal legislation of the 1930s and for his unprecedented number of opinions declaring acts of Congress unconstitutional. McReynolds was born on February 3, 1862, in Elkton, Kentucky, the son of a prominent surgeon. McReynolds graduated from Vanderbilt University in 1882 and then attended the University of Virginia law school, graduating in 1884. He established a law practice in Nashville and became a successful business attorney. In 1900 he was appointed a professor of law at Vanderbilt. During the period 1886 to 1900, McReynolds established himself as a conservative Democrat, running unsuccessfully in 1886 for Congress despite substantial Republican support. Although a Democrat, he found favor with Republican president Theodore Roosevelt, who appointed McReynolds assistant U.S. attorney general in 1903. He remained in the Justice Department until 1907. In that year he moved to New York and joined a large law firm. In 1913 Democratic president woodrow wilson appointed McReynolds attorney general. He gained prominence for his prosecution of antitrust cases but left the post in 1914 when Wilson appointed him to the Supreme Court. McReynolds's conservatism was consistent and unbending. He believed in a restricted role for the federal government, which meant that he opposed federal social and economic regulation. His views matched those of most of his fellow justices during the 1920s and 1930s, but the Great Depression and the New Deal legislation of President franklin d. roosevelt soon put McReynolds in the spotlight. McReynolds, along with Justices George Sutherland, Willis Van Devanter, and Pierce Butler, a group known as the "Four Horsemen," became the core of opposition to federal efforts to revitalize the economy and create a social safety net. McReynolds voted with the majority to strike down as unconstitutional the national industrial recovery act, 48 Stat. 195 (1933), in Schechter Poultry Corporation v. United States, 295 U.S. 495, 55 S. Ct. 837, 79 L. Ed. 1570 (1935), and the Agricultural Adjustment Act, 7 U.S.C.A. § 601 et seq., in United States v. Butler, 297 U.S. 1, 56 S. Ct. 312, 80 L. Ed. 477 (1936). As McReynolds and the Court struck down each new piece of New Deal legislation, Roosevelt became frustrated. He proposed a "court-packing" plan that would have added additional justices to the Court, in hope of gaining a more sympathetic majority. Although Congress rejected Roosevelt's plan, the national debate over the role of the federal government and the recalcitrance of the Supreme Court led more moderate members of the Court to change their positions and vote in favor of New Deal proposals. "Logic and taxation are not always the best friends." McReynolds was outraged at this switch and the resulting expansion of the federal government. Now in the minority, he issued stinging dissents against what he believed were unconstitutional acts by the national government. In Steward Machine Co. v. Davis, 301 U.S. 548, 57 S. Ct. 883, 81 L. Ed. 1279 (1937), he dissented from a decision that upheld the social security act of 1935, 42 U.S.C.A. § 301 et seq., castigating the idea that the Constitution gave the federal government the right to provide "public charity throughout the United States." On a personal level, McReynolds ranks as one of the most troubling figures ever to sit on the Court. A virulent anti-Semite, McReynolds treated Justices louis d. brandeis and benjamin n. cardozo, both Jews, with undisguised contempt. He refused to sign joint opinions with Brandeis or sit next to Brandeis at official Court ceremonies. Increasingly isolated, McReynolds retired in 1941. He died on August 24, 1946, in Washington, D.C.